Income & expense tracking for businesses is an important activity that you cannot take lightly. Your proficiency in the area of income & expense tracking helps you identify profitability, determine where you can become more efficient, and find the funds necessary to take advantage of opportunities to grow (when they present themselves). The ability to track your business’s income received and expenses paid does not require you to take additional courses in accounting or obtain a CPA designation. It requires you to have access to a tool and other resources made available from partners who want to see you succeed in business here in Memphis. Most businesses, especially small businesses and entrepreneurs, who, as freelancers, are sole proprietors, need to have a system in place for tracking income derived from their business activities. This also holds true of the expenses specific to your business. If you are an individual and you don’t maintain an accurate accounting of your income & expense, you will have a difficult time properly filing your taxes. For example, income derived from business activity and paid to yourself or others in your employ as compensation (either as wages and salary) must deduct certain taxes such as FICA, FUTA, and state taxes and unemployment insurance (where applicable). Failure to withhold these amounts as compensation is paid may result in penalties and a significant higher tax burden for you or someone else by the time April 15th comes around. This is why income tracking is important. Tracking income & expense need not be a laborious task. There is plenty of software on the market that is designed for businesses, especially small businesses, to accomplish this. The complexity of many of these tools, however, leaves many businesspeople, especially truly small businesses, sole proprietors, and freelancers, wanting something simpler to use and understand. A simple spreadsheet that provides you with a way to enter information about your income & expense, in a log fashion, may be all you need. This tool is simply organized, set on certain predefined percentages such as those for self-employed taxes. You can change these predefinitions manually and make them applicable for your business easily and without having to do a lot. You do not have to have a CPA to become good at income and expense tracking for businesses. All you need is a tool and a desire to keep these all-important records. 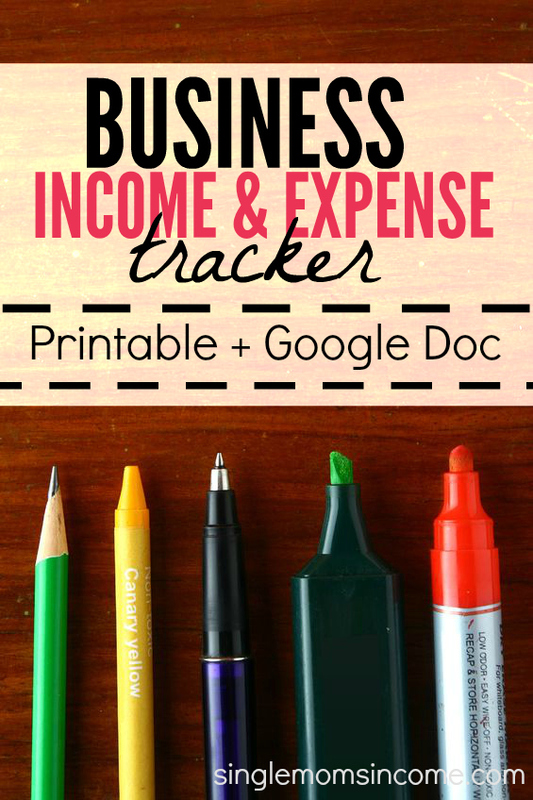 Starting out with a simple spreadsheet for tracking income & expense helps you become more disciplined in your business and better positioned to identify trends, seek additional opportunities for growth, and, more importantly, give you a good reference for when you do sit down and file with the IRS.